(PhysOrg.com) -- A new generation of optical sensors is enabling the development of robust, long-lasting, lighting-fast trace gas detectors for use in a wide range of industrial, security and domestic applications. 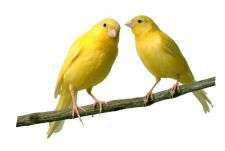 It was not so long ago that gas detection was biological, and canaries were the state-of-the art gas detectors. Until well into the 20th century the little birds were used to detect build-ups of deadly carbon monoxide in mines and thus saved the lives of thousands of miners. The canaries were retired when electro-chemical sensors were developed to monitor chemical processes and measure variables, such as resistance, to detect the build up of gases. Despite the refining of the technology over a period of many years, this way of sensing gas emissions is unsatisfactory in several ways - not least the time it takes. What was needed was a new type of sensor, based on new technologies, which could very quickly detect and identify any special or unusual gas build up in the ordinary ambient air and either sound the alarm or institute corrective measures. A cross-disciplinary EU-funded project, NEMIS, was set up to study the problem and develop a working model of a new type of optical sensor based on recent advances in laser technology and photonics. Specifically, the researchers worked to develop a system based on a new type of laser with a range of characteristics suited to detecting gases, other than those naturally occurring in air, at room temperature. The vertical-cavity, surface-emitting semiconductor laser diodes (VCSELs) which were used to drive the NEMIS photonic sensing system for trace gas analysis allow for the construction of robust, long-lasting and low-cost sensors. Because the sensor is looking for anomalies in wavelengths to detect gas - in the case of the pilot study with the gas being carbon monoxide (CO) - laser ‘tunability’ allows for both greater flexibility and the ability to create a self-contained, sealed sensor. Each gas has a unique “absorption line” which allows the laser to detect its presence, so if the laser can be tuned up and down it means a series of lines representing different gases can be detected by a single sensor. It also means that self-calibrating sensors, which continuously check against a sample of gas at a pre-set or known wavelength, before going to a different absorption line to take measurements for CO and other gases, become practical. As the sensors are self-calibrating there is no need for human interaction and they can be sealed in tough containers which not only have a life of many years but can also be put into hostile environments in industrial installations without suffering corrosion. Once the researchers had done their bit, the project’s industrial partners developed a demonstrator which initially was able to detect CO NH3 (ammonia). Sensors for other gases including carbon dioxide (CO2) and hydrogen sulphide (H2S) are under development. While it will take many years for the new technology to become part of our everyday lives, Bachmann believes there is a much shorter timeframe for NEMIS sensors to be commercially deployed for industrial and security applications. “Within a couple of years, we will see sensors costing probably several thousand euros each being deployed in industrial settings to detect gases for security reasons. But bear in mind they will not need any manual calibration and will continue to work efficiently for many years. “But as the market grows and the systems become more affordable then there is huge scope for deployment. In the auto industry, sensors could be used to monitor engine emissions and ensure optimum efficiency, or they could be used for climate control in all sorts of settings from homes to aeroplanes. When the unit price drops to less than 50 euros, they will probably be in every home,” he says.